So how hard is it to be membership director at America’s first modern art museum? I have learned in my various occupations over 24 years that with every job and employment situation come new and different challenges. The Phillips is a unique institution, energized by our director but also by all the staff who each enthusiastically use their expertise and do their part to help the museum thrive. 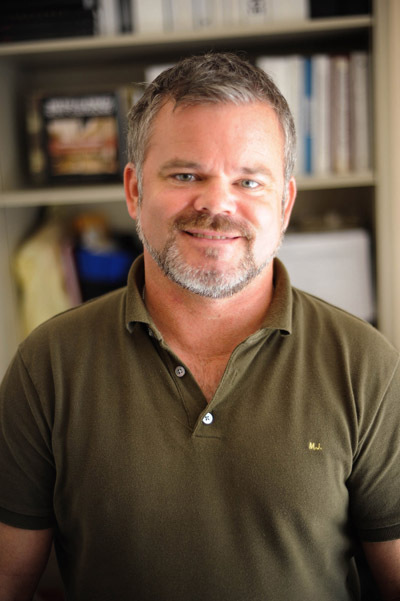 What’s hard about being Director of Membership is the balancing act: I keep my ear to the ground for ingenious, groundbreaking membership efforts; I use the technology we have already and embrace the idea of doing something new; and I reinvent old ideas. Throughout the year I have to keep my eye on driving our membership revenue towards our goal, which can be tricky at times because so much relies on the popularity of special exhibitions. Simultaneously, I need to explore new ways to reach new people and somehow inspire them to become friends of the Phillips. The effort is daily and always changing, and it involves people. 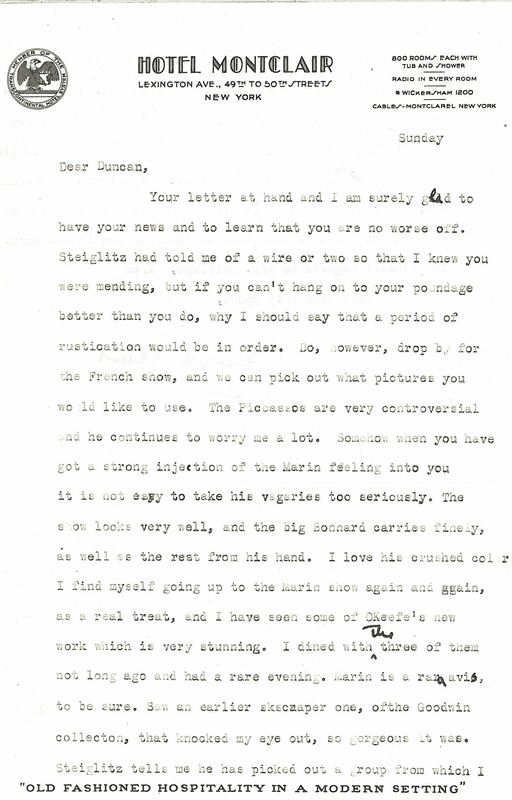 How did you learn of the Phillips? In 2000 I moved from Seattle to San Francisco, where I worked in the membership department of the de Young and Legion of Honor museums during the run of a Georgia O’Keeffe exhibition organized by a small museum on the East Coast I had never heard of called The Phillips Collection. My supervisor in San Francisco was and still is revered as one of the top membership professionals in the world, and it was an amazing opportunity for me to work with her for six years. In 2006 she left to start her own membership consulting firm. One of her clients was The Phillips Collection, and in September 2007 she told me about the opening in membership. I applied, gave the interviews my best shot, and was hired. Today a framed poster from that O’Keeffe exhibition hangs in my office. What do people tell you about why they’re joining the Phillips? Many people who join museums as members do so for the benefits. At the Phillips we recently conducted an in-depth, comprehensive review of our benefits structure, so that we could compare ourselves to other institutions like us. We deliver the best experience we can to keep members engaged, excited, and happy. Even more important, though, is the message of philanthropy. Our education department produces national programs that integrate art in learning. They connect with children here at the museum or at their schools in D.C. as well as far-off states. Our conservators take meticulous care of a world-renowned permanent collection. Our special exhibitions engage and sometimes even entrance, bringing a global conversation about art into the galleries of the Phillips. The Phillips is a gathering place for our community and a crossroads for visitors from around the world with tour books and cameras in hand. Do you have a favorite artist in the collection? In 1955 my grandparents moved into a new house in Chehalis, Washington, and they needed a work of art to put above the grand fireplace. One weekend they drove to Seattle and perused several galleries looking for a work of art they both liked. After quite a bit of searching, they finally agreed on a painting that reminded them of their favorite vacation spot, Lake Chelan, which is surrounded by apple orchards that line rolling hills. The work of art they found wasn’t actually an original painting, rather a reproduction of one. Still, it was purchased and placed above the fireplace, which became a site of much family activity. In 2006, when my grandmother followed by grandfather in passing, I asked to have the “painting” above the fireplace. If ever my grandparents knew who painted the original, or what it was titled, they had long forgotten. Fast forward to December 2007: at the end of my Phillips job interview, I took a walk around the galleries and was floored when I stepped into a gallery in the original house and there, above a fireplace, was the original to my copy–John Marin’s Tunk Mountains, Autumn, Maine painted in 1945. For me, it’s gotta be John Marin. John Marin, Quoddy Head, Maine Coast, 1933.Watercolor and black chalk on off-white watercolor paper, 15 1/2 x 22 in. The Phillips Collection, Washington, D.C. Acquired 1937. We’ve got plenty of John Marin on view here as part of the Eye to Eye: Joseph Marioni at the Phillips installation, but if you find yourself in Ft. Worth, Texas, the Phillips’s Quoddy Head, Maine Coast is on loan as part of Amon Carter Museum of American Art’s exhibition John Marin: Modernism at Midcentury, which just opened over the weekend. A few days ago, I wrote about my first encounter with the undated drawing Metropolis by an artist of whom I had zero awareness, Ralph Flint. On a trip to The Phillips Collection library, I discovered through light research that Flint was a critic as well as an artist, but it wasn’t until Librarian Karen Schneider came to me with an exciting find that a portrait of Flint began to emerge. 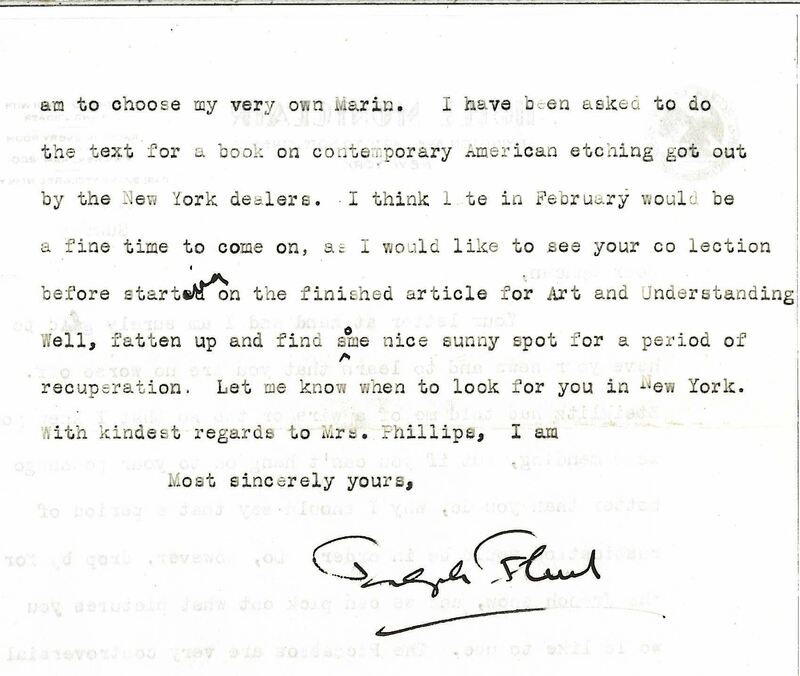 In a thin file of ephemera related to Flint, Schneider found a letter sent directly by Flint to Duncan Phillips describing his progress on a review of the current art season for Phillips’s magazine, Art and Understanding, as well as some amusing personal anecdotes. 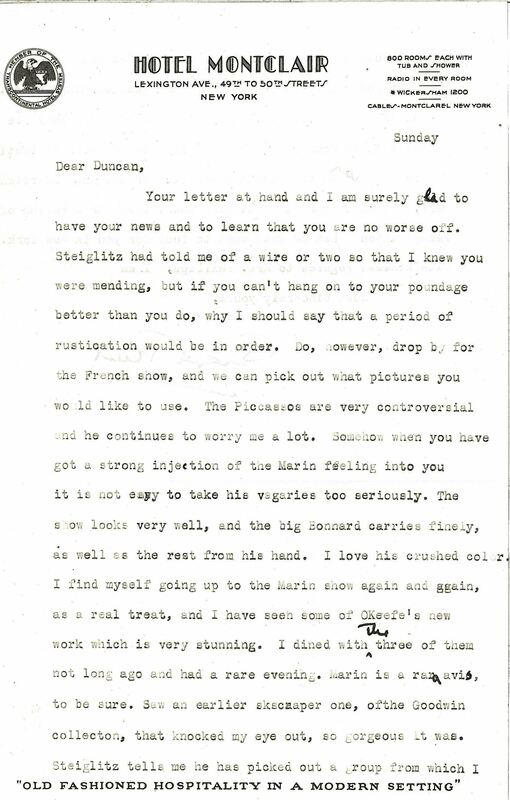 Letter from Ralph Flint to Duncan Phillips. Courtesy Phillips Collection Archives.